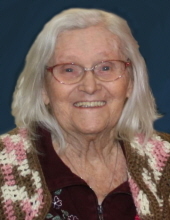 Margie Wilt Forney, 103, of Camp Hill, died Wednesday, April 3, 2019, at The Gardens at West Shore, Camp Hill. Daughter of the late Leroy and Elizabeth (Miller) Wilt, she was born on December 19, 1915 in Goldsboro. She is survived by her sons, Roy C. “Butch” Forney, Jr. (wife, Penny), of Ashland City, TN; and Kenneth J. Forney (wife, Ginger) of East Berlin, PA; and her sisters, Mary Karns, Virginia Yohe and Mae Williams. She was preceded in death by five sisters and three brothers. A viewing will be held at 10AM on Saturday, April 6, at Parthemore Funeral Home, New Cumberland. A funeral service will follow at 11AM at the funeral home. From there, a procession will travel to Paddletown Cemetery for a burial. In lieu of flowers, please consider making a memorial contribution to the Leukemia & Lymphoma Society (www.polishedforapurpose.com). Be sure to include Margie’s name in the Message field. To send flowers or a remembrance gift to the family of Margie Wilt Forney, please visit our Tribute Store. "Email Address" would like to share the life celebration of Margie Wilt Forney. Click on the "link" to go to share a favorite memory or leave a condolence message for the family.